In our inevitable late-night wanderings, we came across a rather furious Gawker posting on a young writer named Natasha Lennard who -- like 200 other volunteer decoys -- had posed as a homeless person on the streets of New York in an effort to test the effectiveness of the latest census, reporting her evening's tale to The New York Times. Of course, Gawker's point is that it might have served the interests of the city better for those 200 people to actually look for homeless people, instead of posing as them, but that wasn't what caught our eye. It was Natasha's nail polish. 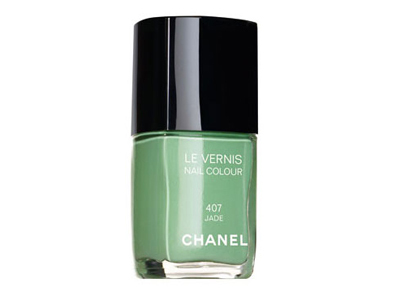 After covering Chanel Jade mania last year, we've developed a rather knee-jerk aversion to the color, but are still entranced when we see someone who's managed to both buy a bottle and wear the color (as opposed to, say, selling it on eBay for TKTK). And Natasha's polish sure looked like Jade. A quick recon mission showed we weren't alone -- Nylon's blog spotted the polish as well yesterday afternoon, and seems to agree. Bottom line, we'd have to agree with their assessment: if you're heading undercover, leave the Chanel at home.